‘Nomad’ cabinet: £229.99, Argos Home. Jumper: Sezane (old). Jeans: H&M (old). Shoes: Kurt Geiger (old). Photographs: Christopher O’Donnell. 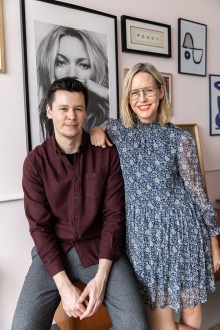 I’ve mentioned before that one of my top tips for buying interiors is to not be a label snob. The High Street has so many great offerings, and Argos is one of those websites that in fact, has pretty much everything. 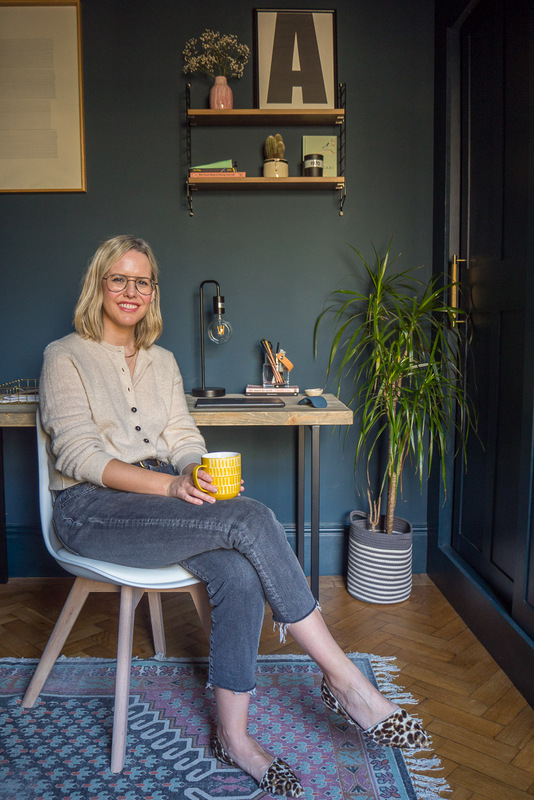 Interiors, for me, is an extension of my personal style – I love the eclectic feel of mixing old with new, trinkets with clean lines – much like my wardrobe. I have a real mix and match attitude to dressing and I like my interiors to reflect that. ‘Nomad’ cabinet: £229.99, Argos Home. ‘Blah Blah Blah’ print: £30, Gayle Mansfield. I’m always drawn to industrial pieces for my office, perhaps it’s my dream of working in a NYC loft space with crittal windows. This cabinet is as close as I’ll get for now! The quality is great, the design is far more fashion-led and this cabinet feels very sturdy. I am not a new Argos customer, I buy most of my niece and nephew’s presents there and our kitchen table and bench were bought on the recommendation of a reader, and it worked out so much cheaper than the versions I was looking at. But once I started researching for this project, it highlighted just how fab (and affordable) their homeware really is. ‘Nomad’ cabinet: £229.99, Argos Home. Candle: Octo. Roberts Radio: £149.99, Argos Home. Matisse inspired print: ArteHausPrints. Set of 3 rope storage baskets: £29.99, Argos Home. 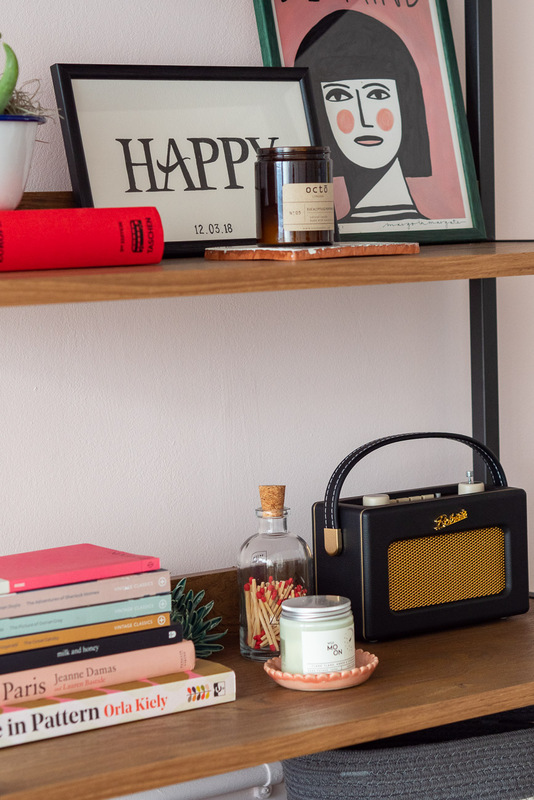 Lamp: £25, Argos Home. Admittedly, Chris spent a few hours putting this together (thanks Chris!) but look how good it looks! 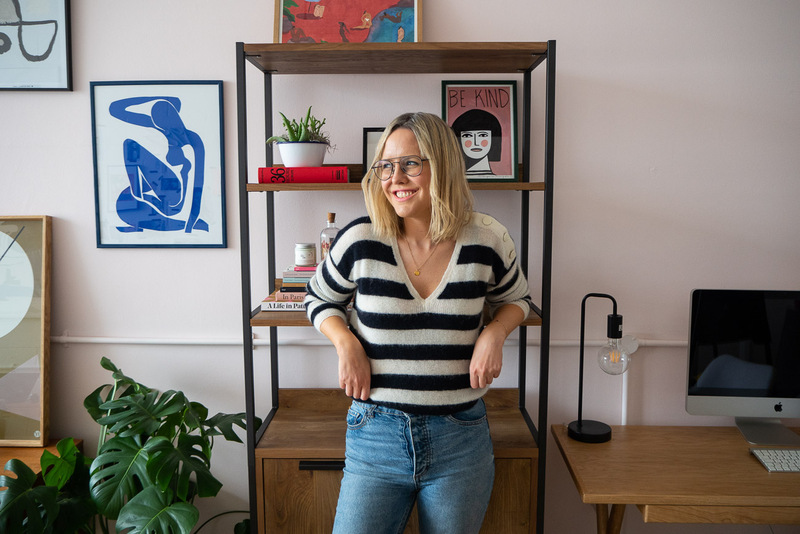 When we rented our office I wanted it to feel homely as well as a place of work and the idea of practical storage mixed with a display cabinet is frankly, for an organisation freak like me, a total dream. 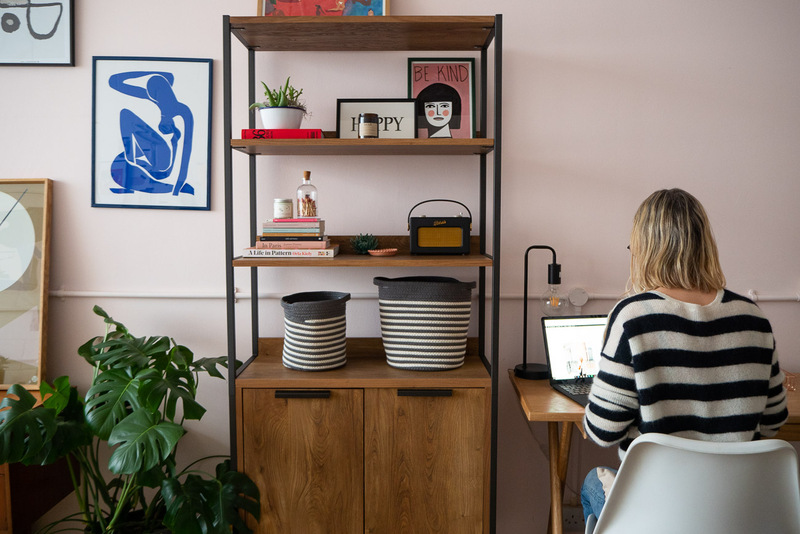 I know some people prefer a minimal workspace but I feel at my most creative when surrounded by Art, trinkets and ‘stuff’. This would also make for amazing living room storage, too. And anything that involves stripes: I’m in. 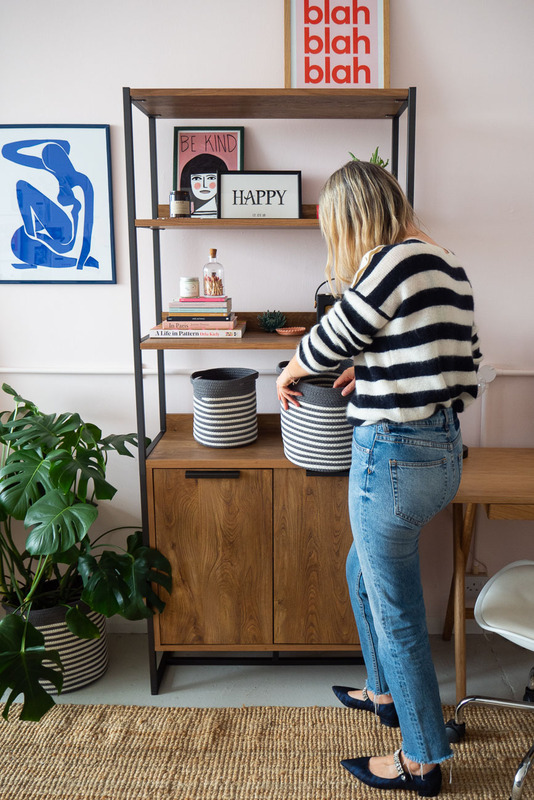 I *could* spend all day tinkering with these shelves, and don’t get me started on the striped baskets – my answer to pretty much all storage problems. I use them to hold plant pots, hide Peggy’s toys, store nappies, hold beauty products to try for work…they hide a multiple of sins. 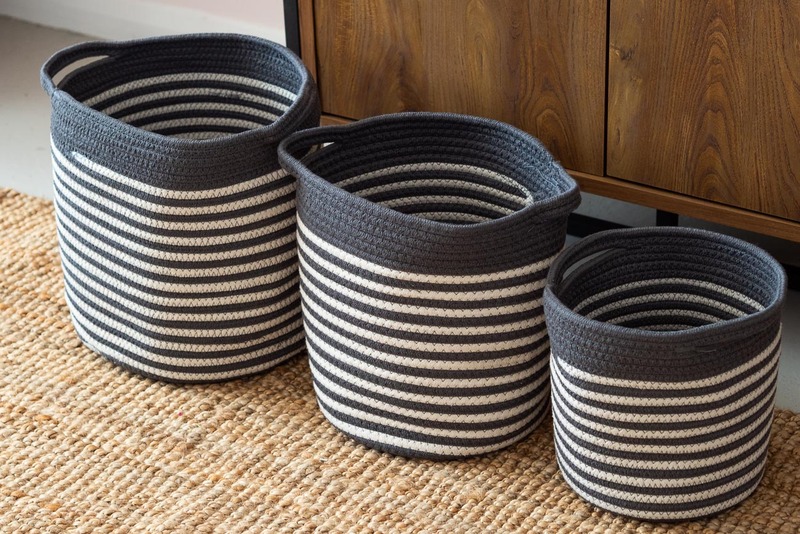 Set of 3 rope storage baskets: £29.99, Argos Home. Also: one can never have enough cushions, am I right??! I feel like I need to mention that these came with the filling, too (I have been stung with other brands when I have ordered but turns out I’d just ordered the cover!). I think my obsession with cushions stems from the way they can transform a space. When I rented, cushions would be one of the few items I owned which could bring a space to life and represent my personality. When styling a room, I approach it the same way I do styling a fashion shoot or myself, I love mixing rustic cushions with different textures and colours – if they don’t match, all the better. 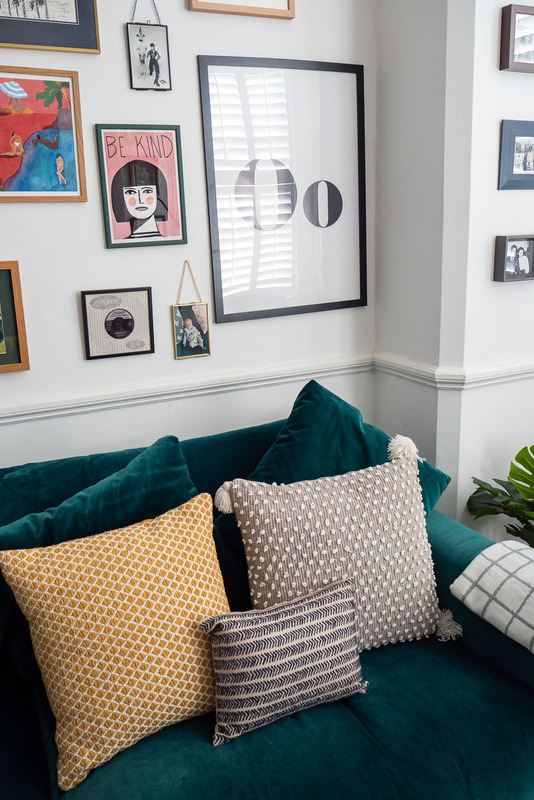 I love a pop of colour that say, a mustard cushion can bring to a room – the layering of colours, patterns and textures within a room all makes it feel like our home. 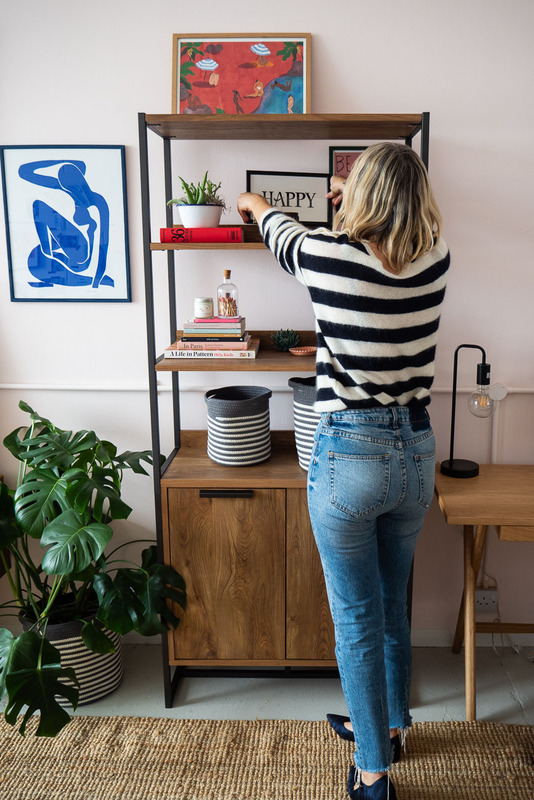 One of my key interiors tips would be: don’t worry about it not matching immediately, as your home grows, your style will evolve and it will all feel ‘lived’ in soon enough and part of you. Sofa: Habitat (available on Argos). ‘Global’ mustard cushion: £12, Argos Home. ‘Nomad’ bobble cushion: £16, Argos Home. ‘Nomad’ small cushion: £12, Argos Home. Throw: £16, Argos Home. 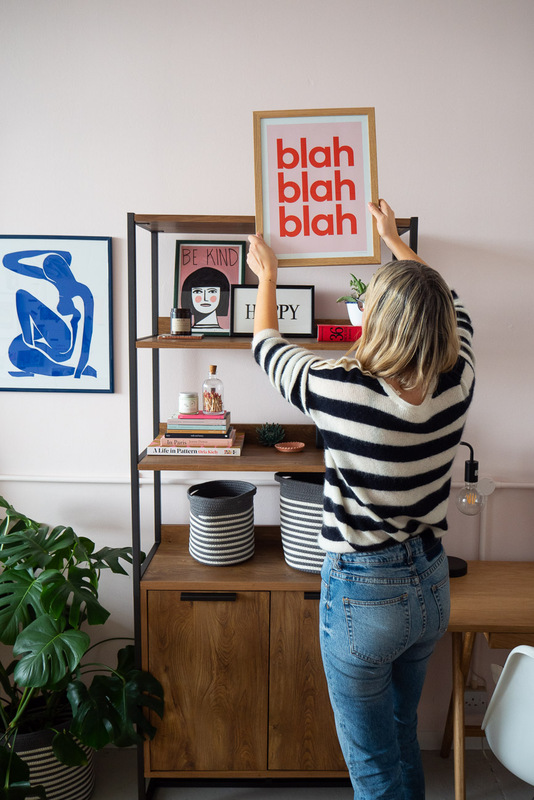 It’s so funny, ordering furniture online was probably unthinkable to me when we first started renting but now it is so normal to us, I love browsing in my own time and saving favourites. 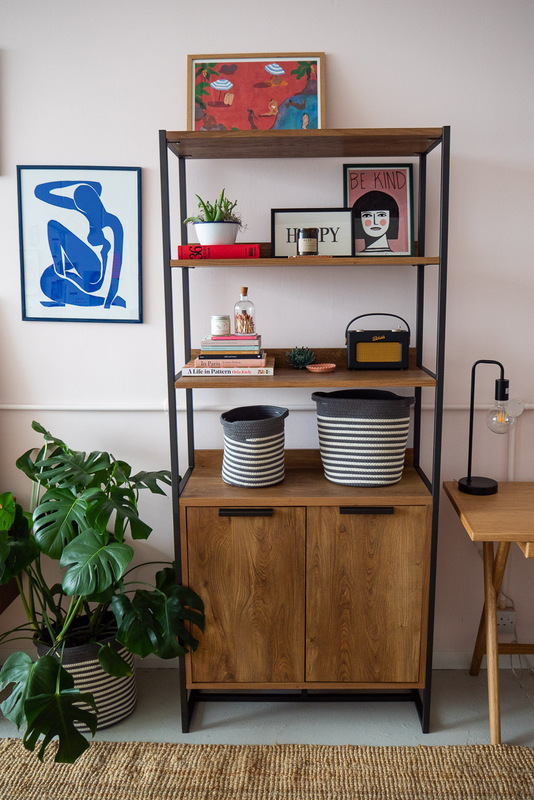 These items were delivered to our home and office, and a few other bits for the shoot we picked up from the local store in Wood Green (along with my niece’s birthday present!). So convenient – I’m all about ticking multiple things off my list, after all! Sofa: Habitat (available on Argos). ‘Global’ mustard cushion: £12, Argos Home. ‘Nomad’ bobble cushion: £16, Argos Home. Jeans: H&M (old). Shoes: Topshop (old). Throw: £16, Argos Home. Habitat ‘Jerry’ chair: £170 for a pair, available at Argos. Cardigan: Free People. Jeans: Gap (old). Shoes: J Crew (old).Table lamp: £25, Argos Home. Stripe basket: £29.99 for a set of 3, Argos Home. This post was in collaboration with Argos, whose new TV campaign will be on your screens soon!